The immediate Capital District’s unemployment rate fell from 4.3 percent a year ago to 3.9 percent in June, according to the state Department of Labor. The Albany, Schenectady, Troy area has the second lowest unemployment rate of metro area in the state with Glens Falls and Nassau and Suffolk counties leading the way with 3.8 percent. Statewide, unemployment for all metro areas dropped in the past year to 4.2 percent from 4.6 percent. The highest metro areas are Elmira with an unemployment rate of 4.9 percent, down from 5.4 percent a year ago. The unemployment rate for Non-metro counties is 4.6 percent, down from 5.2 percent a year ago. In the past year, the state’s private sector job count increased by 132.400 to 8.2 million. The state’s seasonally adjusted unemployment rate remained unchanged at 4.5 percent according to a payroll survey of 18,000 New York employers, which was conducted by the U.S. Bureau of Labor Statistics. By county, Albany’s unemployment rate, not seasonally adjusted, is 4 percent, which does not put it in the top 10 state wide. 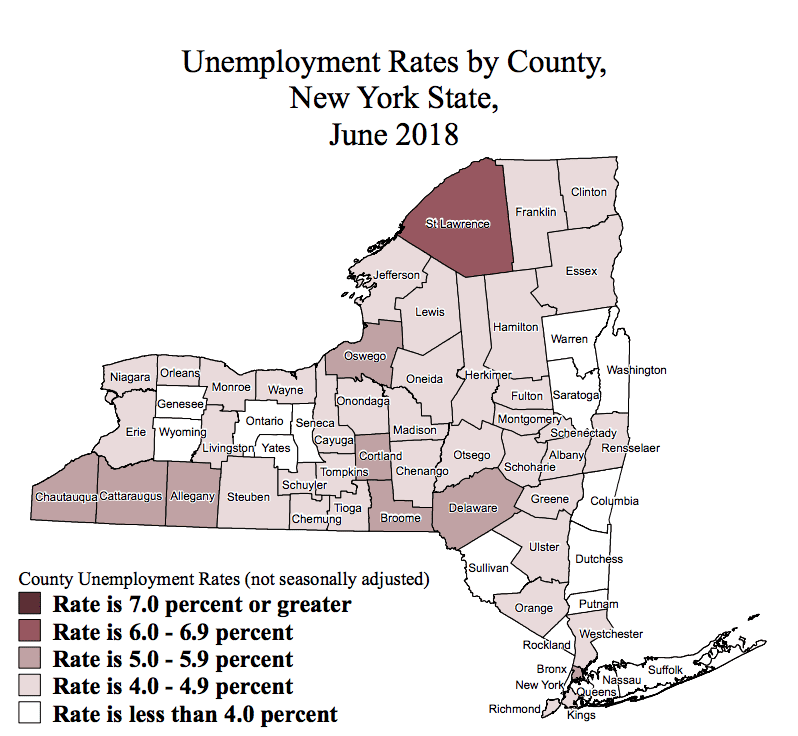 Columbia County has the lowest unemployment rate with 3.3 percent, Saratoga County is second at 3.5 percent and Yates County is third at 3.6 percent. 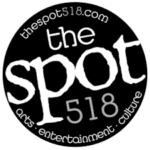 Washington County is ranked 10th at 3.8 percent. There are a number of counties at 3.9 and 4 percent. The highest unemployment rate in the state is in St. Lawrence County on the northern border with 6 percent.